CE Viscolab® back protector. 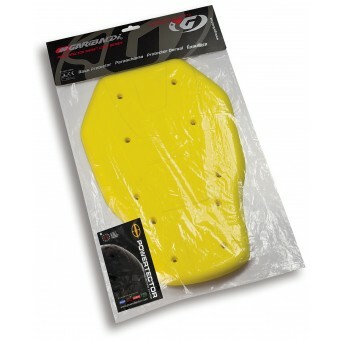 After long R&D, Garibaldi developed new innovative material "Memory Elastan"; the anti-shock slow recovery foam. 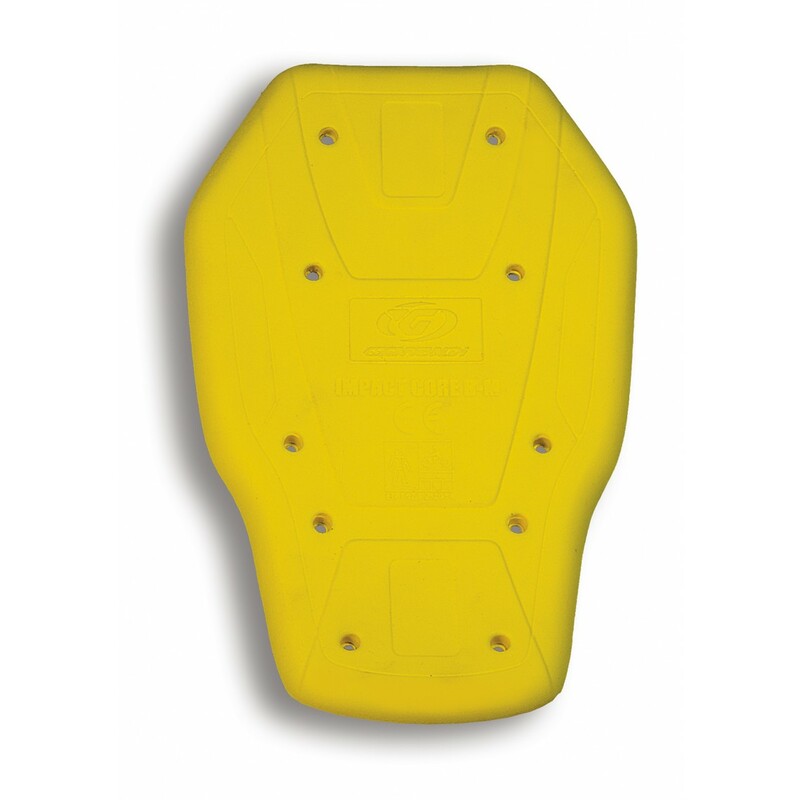 It´s developed to provide greater shock absortion than traditional foam pad, even against multi impacts. Its "slow rebound elasticity" and "slow recovery" characteristics make it mould to the body shape for best fitting with flexibility.With its unique characteristics, it is mainly used in high-end line products to provide perfect comfort fit and great shock absortion. It is Ether type Polyurethane foam which offers superior chemical resistance, water resistance, tensile strength and tear strength than many EVA foam can´t match. It is certified to exceed stringent motorcycle standard performance requirements of EN 1621-2:2014.